How can I serve others when I’m not smart enough to get into graduate school? I’ve worked ridiculously hard to face and resolve my fears but at 40 I’m still struggling. I would like to leave my job and work full on my side projects but being realistic, at what point should I leave my job? In the webinar you mentioned a woman who got into voice over work and last year grossed $106,000. Can you connect me with her? 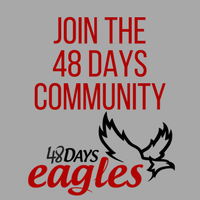 I am happy to be the first blind person taking the new online 48Days course so that I can let you know if there’s anything that can be adjusted to make things even more accessible. Dan, will you sponsor me to have a fun 48 Days vacation? Are you making me hate my job or more precisely, you, Michael Hyatt, Pat Flynn, and all the others who’s podcasts I listen to and blogs I read? Title: How can I serve others when I am not smart enough to get into graduate school? In this episode, Dan explains that you need not go to graduate school to follow your dreams—you can find success and make a meaningful impact in this world through several different avenues. History has provided numerous examples of people who succeeded in their respective fields without a school or college education. 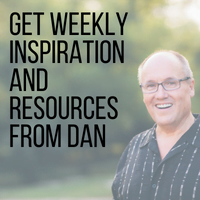 Dan encourages listeners to leverage their creativity, skillsets, and passions to do the work that’ll inspire them. 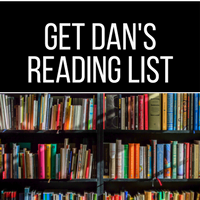 Dan also explains the best way to discern if you’re ready to make that full-time switch to running your own business, responds to listener inquiries, and shares uplifting news around the world. Are you making me hate my job or more precisely, you, Michael Hyatt, Pat Flynn, and all the others whose podcasts I listen to and blogs I read? [spp-timestamp time=”04:48″] – Webinar for next Thursday, September 14th – Finding the Work You Love – in 48 Days! 13:28 – The bakery was relatively dry, and they had electricity—so, they got to work! 19:15 – Ashley says, How can I serve others when I am not smart enough to get into graduate school? Brenda says, I’ve worked ridiculously hard to face and resolve my fears but at 40 I’m still struggling. 28:54 – Matt says, How can I find the link to Ken Davis’s podcast which explains how to make $150,000 a year selling your knowledge? 30:29 – David says, I would like to leave my job and work full-time on my side projects but being realistic, at what point should I leave my job? [spp-timestamp time=”32:54″] – Webinar for next Thursday, September 14th – Finding the Work You Love – in 48 Days! 33:31 – In the webinar you mentioned a woman who got into voice over work and last year grossed $106,000. Can you connect me with her? 35:03 – Chris says, I am happy to be the first blind person taking the new online 48Days course so that I can let you know if there’s anything that can be adjusted to make things even more accessible. 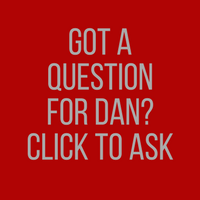 36:15 – Dan, will you sponsor me to have a fun 48 Days vacation? 42:35 – Roger says, Are you making me hate my job or more precisely, you, Michael Hyatt, Pat Flynn, and all the others whose podcasts I listen to and blogs I read? 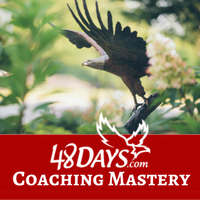 44:28 – List twenty ideas that you can possibly do in a hour – carve out some time to filter these down to 3-4 best fit ideas, create a plan for one idea, work on it and have something up and running! [spp-timestamp time=”47:31″] – Webinar for next Thursday, September 14th – Finding the Work You Love – in 48 Days! There are a lot of paths to success—formal schooling is only one tiny road to success. Create a fun project and have people sponsor you as a way to put yourself out there. If in 90 days your side business can generate 50% of your current income, quit your current job and make the move.